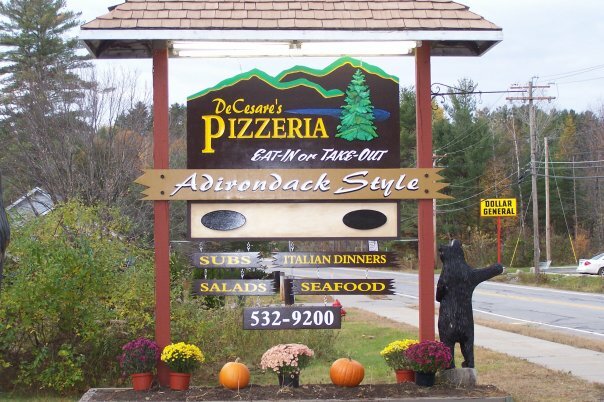 DeCesare Pizza owners Deb and Alan have come up with a unique way to honor area war vets, both past and present. They want to display photographs under the glass at the tables of their restaurant, to reminder everyone of what these brave men and women have done for us. "Alan and I started talking about the idea for a couple of months now," Deb wrote to us. "All of our customers love the idea and have been very helpful with looking at their own pictures and getting them to us. Alan's father, Americo Valentino, was in the army in Guam. We are looking for pictures of all local military and veterans". The idea then grew into including photos of Schroon Lake, North Hudson and Frontier Town. "And our school and teams. Pretty much anything that goes on around here". Got a photo for Deb? Tell her the next time you see her, or message her on Facebook.